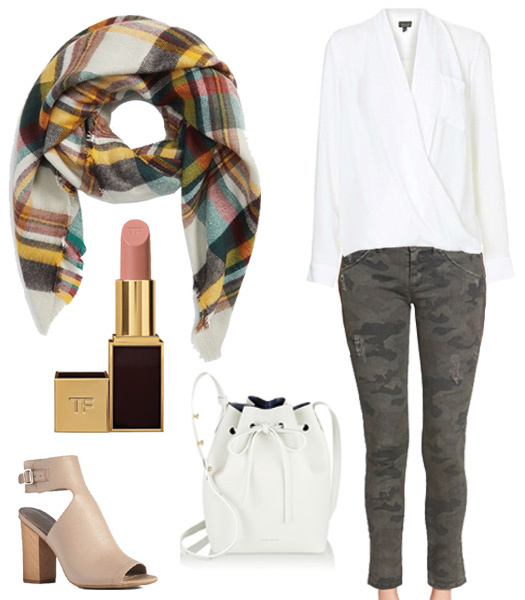 camouflage + plaid...one of my favorite combinations. I've actually never thought to pair plaid with camo but I like the way they look together. Thanks for the inspo! love these inspirations! that lipstick and scarf are everything! I love that lipstick and scarf!! Beautiful look for Fall. I love plaid scarves. They are perfect for colder weather!